High Power LED Remote Control portable Searchlight. 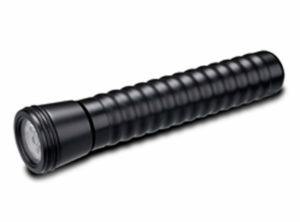 Light your targets thousands of feet away in all directions with a simple press of a button. 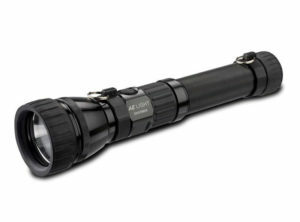 Spot beam for longer distances, flood beam for larger areas. Even beam with no dark spot. 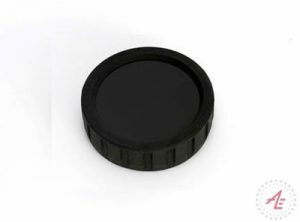 High/Medium/Low settings with SOS and Strobe modes. 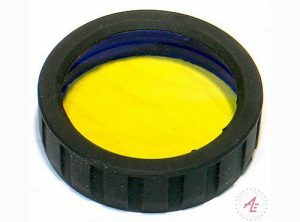 Painted aluminum housing, sealed metal gears, Patent Pending Optical Lenses, hard plastic lens cover. 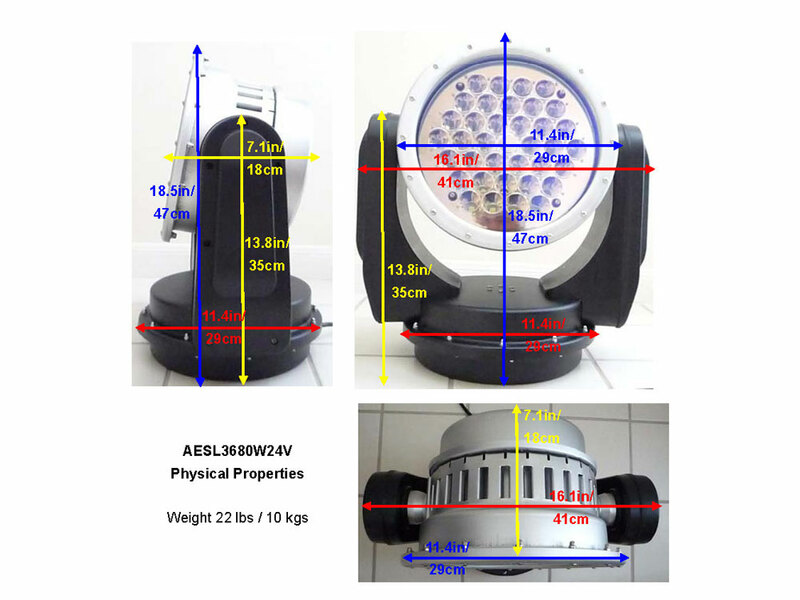 Standard remote control distance of 328′ (optional 1312′ available). 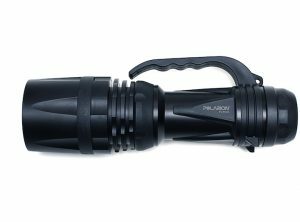 This is the only Remote Control Searchlight that has rotation, tilt and focus beam all controlled by a push of the button. 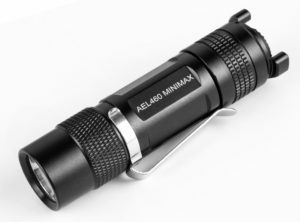 Ideal for fixed location, used on boats, helicopters, tractors, security lighting, and anywhere that light is needed to be controlled from a distance. Due to size and weight this light is best mounted for permanent installation. Input: 24VDC, Optional 120/220VAC Adapter. NOTE: 12VDC input and is not recommended. Figures below based on using a 24V 26AH rechargeable battery. 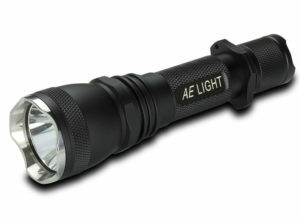 NOTE: Battery is not attached to the light and is mounted separately. 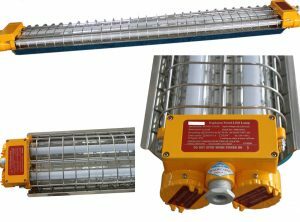 Light is designed for hard wire applications. The information below is for reference purposes only. 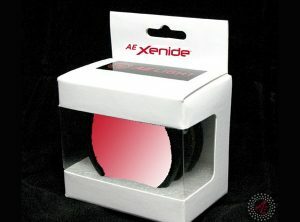 Box Shipping Dimensions and weight: 20 X 16 X 22 – Weight: 50 Lbs. 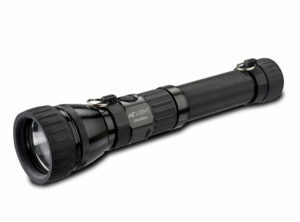 Searchlights: High power, light weight and portable. 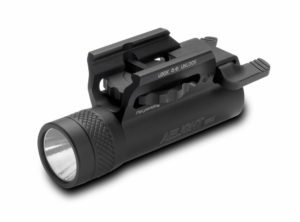 Designed for law enforcement, search and rescue, border patrol, military & industrial users to light targets that flashlights cannot illuminate. 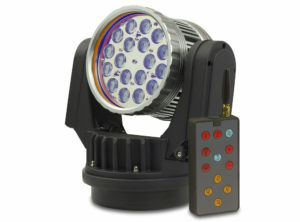 We have LED Remote Control Searchlights with controllable focus beam. 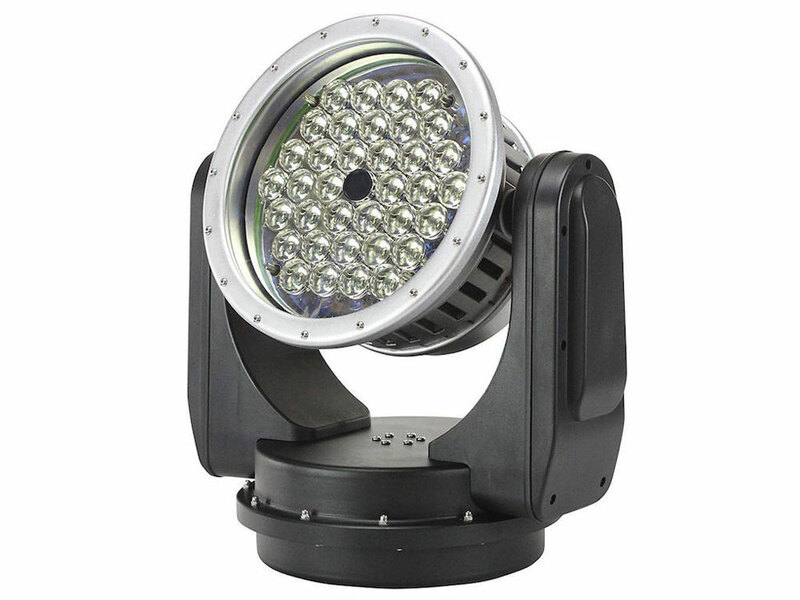 These searchlights are widely used by professionals in need of lighting targets that regular high power flashlights can not reach. 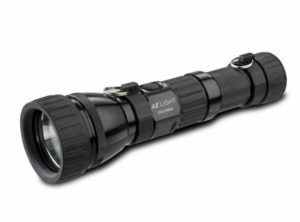 They are compact and illuminate large areas making it easier to illuminate targets from long distances. The intense beams of the LED Searchlights are good for self defense as well as personal security. 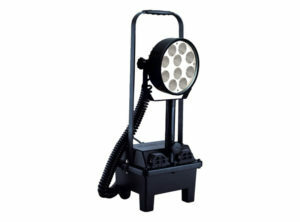 The LED Remote Control Searchlights are hard wired or can be powered by batteries for remote applications. See for yourself how powerful these LED searchlights really are. Order yours on line now. If you are involved with law enforcement, military, or other government agencies call for special pricing.